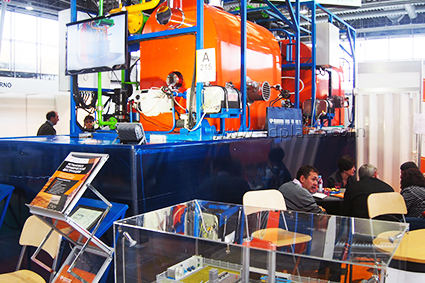 October 27-29, 2015 Moscow Congress and Exhibition Center Sokolniki hosted the annual specialized exhibition of solutions and innovations for water treatment and waste management WASMA-2015. Equipment manufacturers from different countries exhibited their own development in the environmental field. IPEC, being a permanent participant of the event, does not get tired to surprise the visitors with new technological solutions for the waste management. 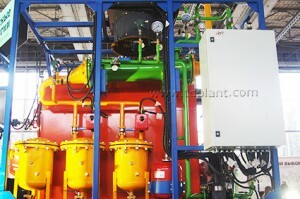 This year the company presented Thermal Decomposition Plant for organic materials treatment and Motor Oil Production Unit. The unique technology is capable to process liquid and solid organic waste, such as contaminated soil, rubber, plastics, natural bitumen, worn tires, heavy oil, mudstones followed by obtaining conditional products in the rectification unit: fuel oil, diesel and gasoline fractions. Motor Oil Production Unit is equipped with countercurrent packing to increase the efficiency and productivity of raw material processing. The exhibition stand of IPEC was highly appreciated by the visitors of the exhibition and the media.